People out from investments usually think that this business is easy and high returns are the common rule. If you say: “I invest”, then they look at you as a rich person, when you probably try to avoid a lost of purchasing power caused by inflation. That is usually the most conservative strategy, but the idea behind that behaviour is capital preservation. Capital preservation is defined as a conservative strategy that tries to avoid the loss of value of your investments. Some investors are just quiet if their money does not decrease, but this little ambition has an enemy: inflation. If the financial goal reduces only to that narrow meaning of capital preservation, they will surely lose purchasing power in the long term. That’s why this strategy is recommended for safe short-term investments, as bonds or certificates. However, capital preservation means something else, because it is behind every investment strategy. Whether it is more aggressive or more conservative, it does not mean that the goal behind the scene will not be the same: to keep at least the same as we invest and keeping the same purchasing power. 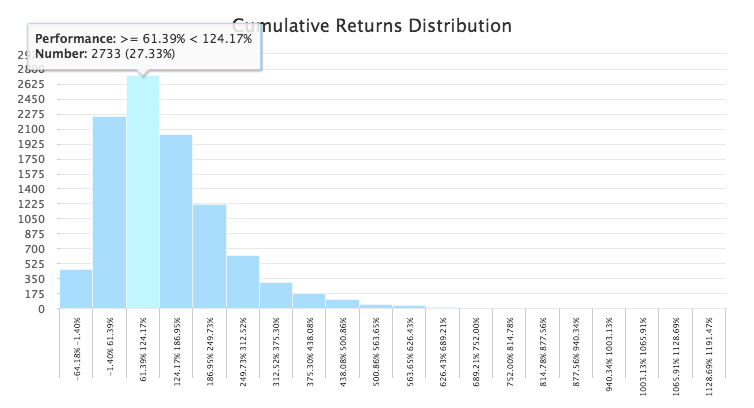 Possibly, someone argues that the more aggressive portfolios are designed to obtain the highest return accepting volatility, but no investor is so fool to accept losing their money without a B-plan. This B-plan to preserve the capital is rebalancing. When an investor receives alerts from their system, he has to decide when to change his strategy. Regular investors are not traders, but they prefer to invest in the long-term. That’s why these investors have to avoid panic in certain periods when markets are bearish or react negatively due to any external reason (e.g. Brexit or similar). Investors have to look at the long term and analyse with their tools the real effect over their strategy and if they have to rebalance their portfolios. What for? First of all, to preserve their capital; secondly, to serve their strategy (more conservative or more aggressive). In other words, as the main goal for companies is surviving in the markets, the main goal for an investor is preserving his capital. Returns will come, higher or lower, but these will be the second step. Alerts, optimising modules and bootstrapping systems (as T-Advisor has) are the tools to be successful for it. 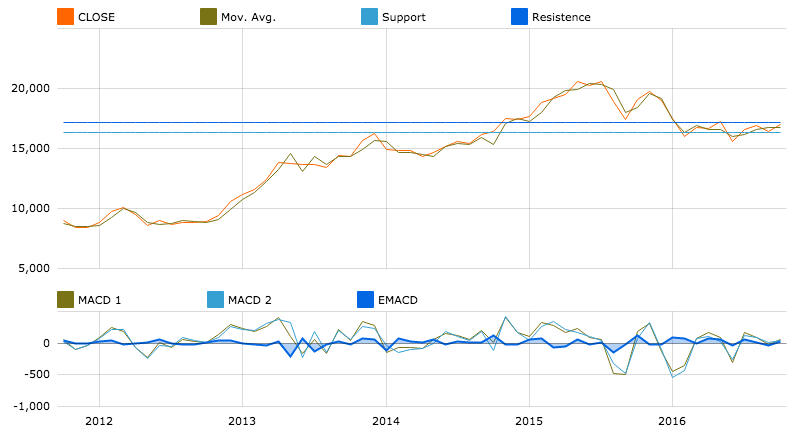 This entry was posted in T-Advisorpedia and tagged bootstrapping, Capital preservation, Inflation, Optimiser, Purchasing power, Rebalancing on December 12, 2016 by Oscar Garcia. Mexico is an example of a developing country that evolved into an industrial nation amongst the 15 largest in the world in a short period. This is the same country that suffered the bond crisis in the 1980s and that signed the NAFTA with a great positive effect for its economic development. This development has also effects in their financial markets, that boomed with a modernisation after the liberalisation of the sector and the investment of foreign entities. 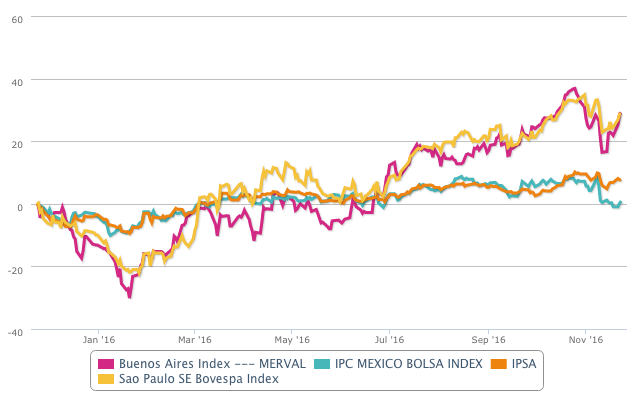 The IPC, the Mexican benchmark, scaled a 30% in the last five years, but this positive trend changed dramatically at the beginning of the month. 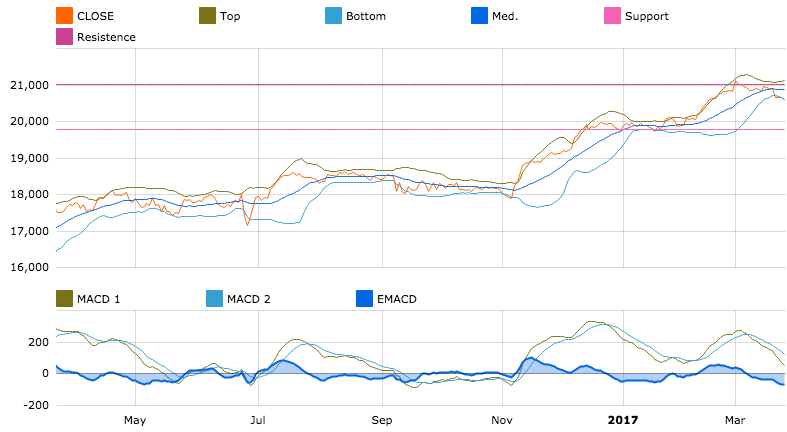 If we look at the chart, the drop is clear and the change in all technical analysis references is relevant. The question is: what is going to happen after this shock? Trump has relaxed somehow his strong comments about the relationship with Mexico, but nobody knows his real intentions when he takes office in January. Will he order the building of the wall in the Mexican border? Will he abandon the NAFTA? Will he control the Mexican immigration? All these decisions would have strong negative effects in the economy of Mexico and they would also shock the financial markets. 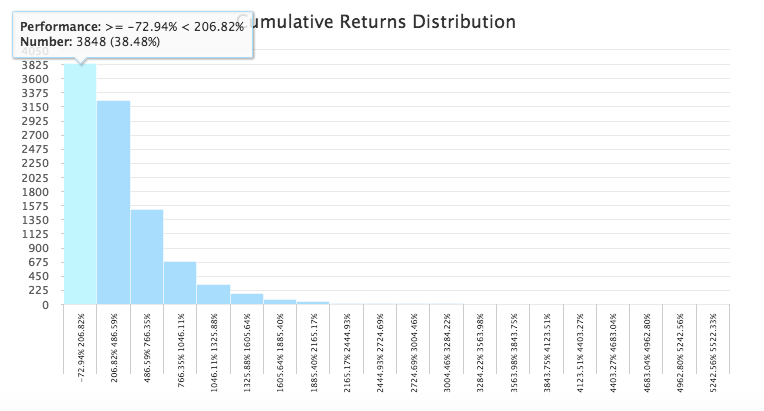 Our bootstrapping tool reveals that there are 25% possibilities of a negative return of the IPC in the next two years. 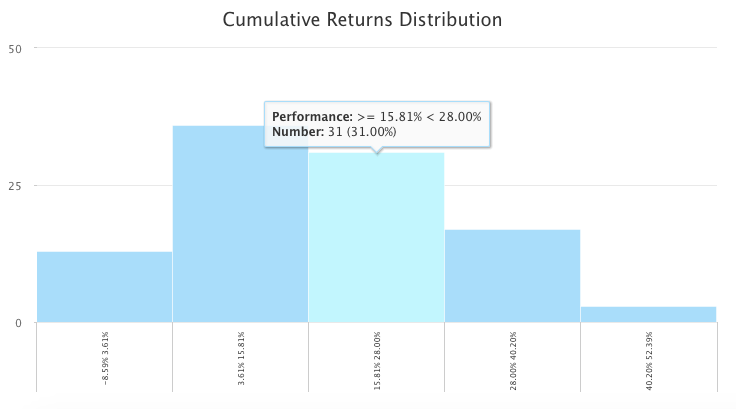 However, there are 40% probability of positive returns between 2% and 45%. This analysis is based on the historical evolution and considers that past performances do not guarantee future returns. In any case, these results can also be altered by sudden political decisions. Many analysts consider that 2017 will be a volatile year linked to political instability. 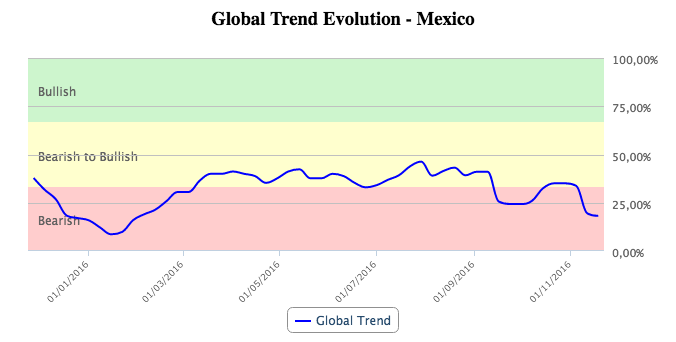 We will soon discover how it will affect to Mexico. This entry was posted in Country report and tagged bootstrapping, Donald Trump, IPC, Mexico, NAFTA on November 24, 2016 by Oscar Garcia. Japan is the third largest world economy. It is one of the largest foreign investor and saver (over the GDP), its trading balance has a huge positive result and their GDP per capita is amongst the richest countries. However, it seems that no policy can bring the country out from the stagnation. The GDP growth is weak since the 90s, when the financial bubble exploded in the Empire of the Rising Sun. This is the real economy, but what about the finances? The figures are not very nice. 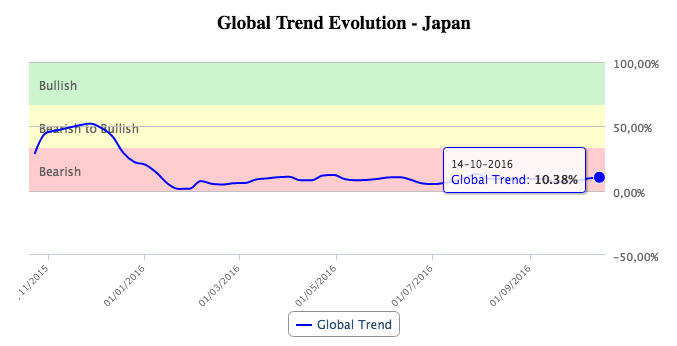 The T-Advisor trend evolution chart for Japan shows that the line is very bearish the whole year 2016. In our trend index, Japan is the second-to-last country. The Nikkei 225, the Japanese benchmark, has also a negative YTD performance, with an erratic trend. Compared with other neighbours in Asia, Japan is one of the weakest markets only over Shanghai. But what can we expect from the future in Japan? 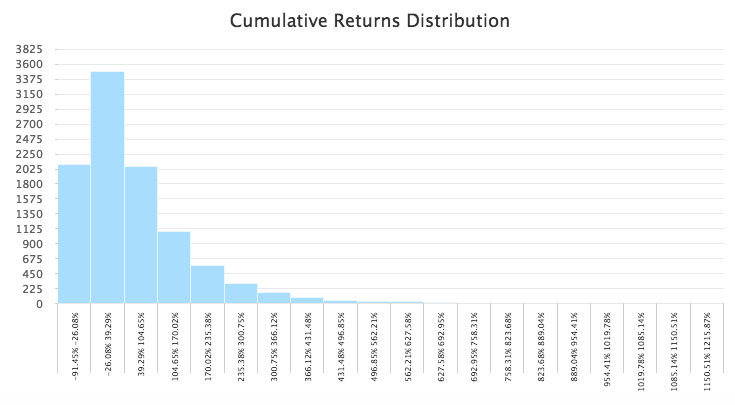 Our bootstrapping analysis provides a result in which we can perceive a great probability of high volatility. 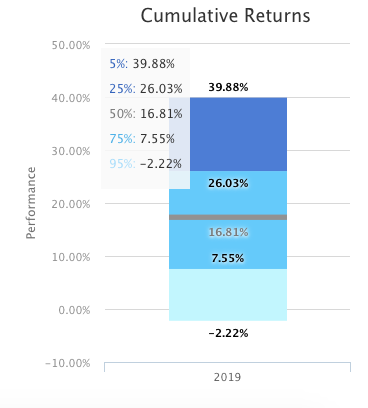 The range between the best and worst result is very wide and the expected performance is low, around a 26% in 10 years. 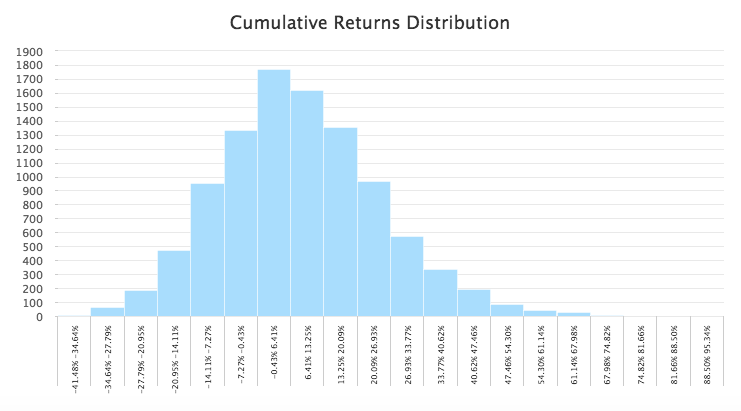 The cumulative returns distribution points out that there are a 50% of probabilities that the Nikkei obtains negative results in the next five years. To sum up, T-Advisor data shows that the market evolution in Japan has been very bearish this year. 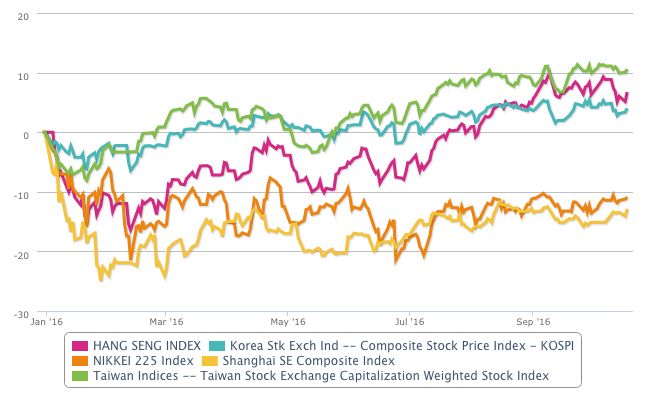 Only a 30% of the Nikkei stocks are performing positively. The future seems to be also not stimulating, as the probabilistic bootstrapping analysis detects higher chances of negative returns for the next five years. This entry was posted in Country report and tagged bearish trend, bootstrapping, Japan, Nikkei on October 19, 2016 by Oscar Garcia.